another gorgeous day in sf yet again! and what a time to shoot at the japanese tea garden, with all the trees in full bloom. this session was reserved for the awesome and beautiful couple of jackie and woody and a mini-session with their adorable son, quinton. jackie and woody were such an easy couple to work with. woody is probably one of the most relaxed and easy to shoot guys of any couple we shot. and we knew that after consulting with jackie, she'd be sure that the two would be fully prepared for their engagement session... well, except for forgetting their son's sword but the ever-knowing dad, woody came to his rescue, bought their son not one, but two swords! 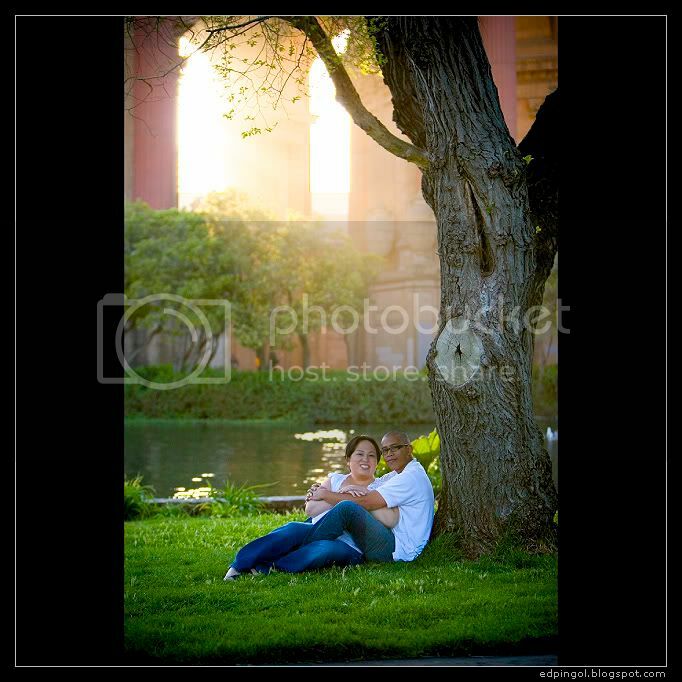 check out their crouching tiger, hidden dragon skills, featured in one of the photos below. after the golden gate park, we headed over to the palace of fine art, just as the wind began to pick up and the chill set in. such great sports, the two were still able to withstand the cold and allow us to capture some great images. 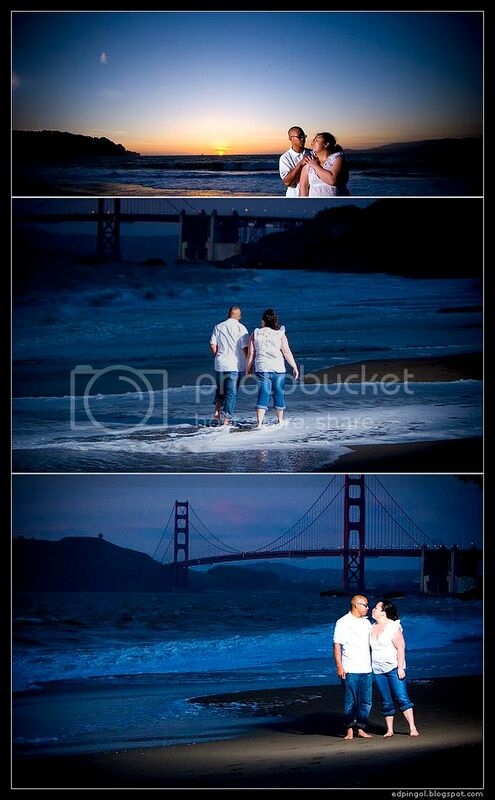 and still, they trudged through with us to baker beach to shoot some very cool (or should i say freezing cold?) images at sunset. congrats on your engagement, jackie and woody! can't wait for your wedding! come in and enjoy the view of this happy couple! the garden in full bloom... along with their love for one another! 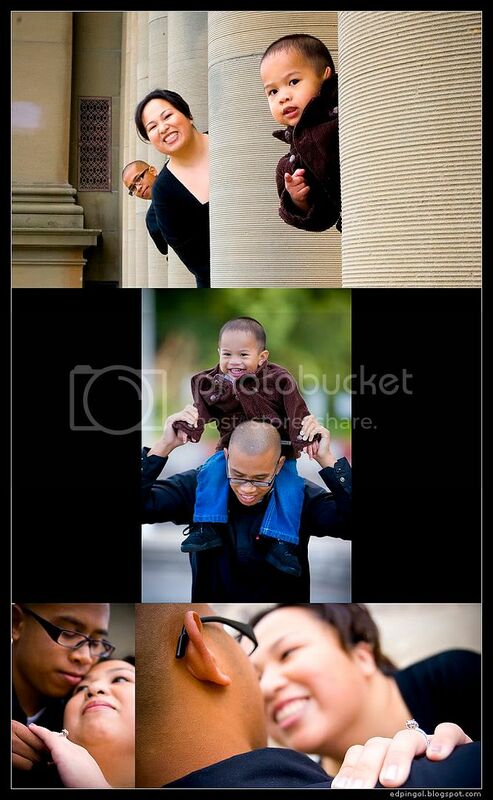 peek-a-boo, your mommy and daddy see you, quinton! finally, a quick minute to sit down!